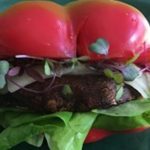 Using bell pepper buns as a gluten-free substitute for bread is simply a delicious way to trade bad carbohydrates for a crunchy delicious vitamin C filled veggie bun. Bell peppers are cholesterol lowering vegetables that pair perfectly with grilled foods or can be used to make sandwiches like chicken and tuna salads. Using a bell pepper adds nutrients and at 24 calories per pepper is a great way to just carbs and calories. I love to grill a portobello mushroom, brushed with herb infused olive oil and sprinkled with salt and pepper, and enjoy it on bell pepper buns with all the fixings! 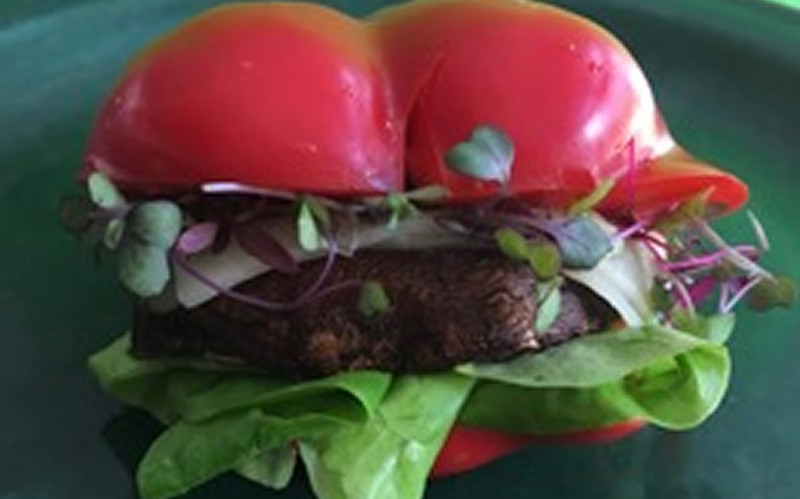 Bell pepper buns are easy to make and are as beautiful as they are delicious. I often use the unflattened halves as an open face sandwich.